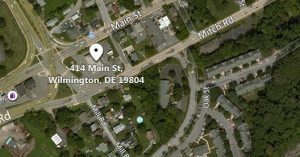 Wilmington (19804) – The Delaware State Police are investigating the armed robbery of a Stanton area gas station that took place Wednesday night. The incident occurred at approximately 7:38 p.m., Wednesday, December 12, 2018 at the Stanton Exxon, located at 414 Main St., Stanton. Two suspects with their faces concealed approached an employee at the sales counter and demanded cash. One suspect displayed a hand gun while the second suspect removed an undisclosed amount of cash from the register. After obtaining the money both suspects fled on foot in an unknown direction. The employee was not injured as a result of the incident. Suspect 1 was described as a black male 5’8” tall, wearing all dark clothing to include a cloth concealing his face and in possession of a black handgun. The second suspect was described as a black male, 5’9” tall, wearing all dark clothing, to include a cloth concealing his face. Anyone with information regarding this incident is asked to contact Detective T. Dukes of the Troop 2 Robbery Unit at 302-365-8412.